CASINO PRINCE 5 wins-3 at 2-from 1100m to 1600m, A$1,166,500, AJC Chipping Norton S., Gr.1, MVRC Alister Clark S., Gr.2, AJC Skyline S., Gr.3, Telstra Stadium Charity Shield 2YO H., STC Flora 2YO H., 2d AJC Doncaster H., Gr.1, VRC Australian Guineas, Gr.1, AJC Diggers Bistro 2YO P., 3d VRC Australian Cup, Gr.1, AJC All Aged S., Gr.1, STC George Ryder S., Gr.1, MVRC Norman Carlyon S., Gr.2, 4th STC George Ryder S., Gr.1. He entered stud in Aust. in 2008. Leading Aust. First Season Sire in 2011-12. Sire of 488 progeny to race, 330 winners (67.0%), earnings of over $38 million, 16 stakes winners, 12 stakes placegetters, inc.
ALL TOO HARD (09c, Desert Sun, Snippets). Champion 3YO Colt in Australia in 2012-13.7 wins-3 at 2-from 1100m to 1600m, A$2,288,200, ATC All Aged S., Gr.1, MRC Caulfield Guineas, Gr.1, Futurity S., Gr.1, CF Orr S., Gr.1, VRC Sires' Produce S., Gr.2, ATC Pago Pago S., Gr.2, VRC Talindert S., L, 2d MVRC WS Cox P., Gr.1, ATC Sires' Produce S., Gr.1, 3d ATC San Domenico S., Gr.3, 4th ATC George Main S., Gr.1. ESCADO (09g, Giant's Causeway, Secretariat). 5 wins-2 at 2-from 1400m to 2500m, A$864,720, South Australian Derby, Gr.1, Qld Tatt's RC Tattersall's Cup, Gr.3, MVRC JRA Cup, Gr.3, 2d MRC Easter Cup, Gr.3, SCTC Caloundra Cup, L, MRC William Buck P., Moe Cup, MRC (Mornington) Centrebet App for Iphone H., 3d Geelong Classic, L, VRC Murray Cox 2YO H., Blackwoods 2YO P., 4th VRC Sofitel H., L.
HOOKED (10c, Lure, Diesis). 6 wins-2 at 2-from 1200m to 1600m, A$954,750, MVRC Schweppes Crystal Mile, Gr.2, NSW Tatt's RC Tramway S., Gr.2, MRC Victoria H., Gr.3, Newcastle JC Cameron H., Gr.3, BRC Goulburn Valley 2YO H., Hidden Dragon at Lyndhurst 2YO H., 2d VRC TAB Rewards S., Gr.3, SAJC RA Lee S., Gr.3, 3d Australian Derby, Gr.1, ATC Epsom H., Gr.1, 4th ATC Canterbury S., Gr.1, Spring Champion S., Gr.1, BRC Champagne Classic, Gr.2, ATC Gloaming S., Gr.3, Frank Packer P., Gr.3, Ming Dynasty H., Gr.3, Newcastle JC Spring S., Gr.3, ATC Eskimo Prince S., L.
STAR ROLLING (09g, Zabeel, Truly Vain). 5 wins from 1400m to 2000m, A$402,670, MRC PB Lawrence S., Gr.2, SAJC Penang Trophy, L, VRC Brian Beattie H., Rod Johnson H., 2d MRC TS Carlyon Cup, Gr.3, VRC Piping Lane H., 3d MRC Peter Young S., Gr.2, Lord S., L.
LONGPORT (09f, Dolphin Street, Scenic). 4 wins-1 at 2-to 1500m, A$487,730, ATC Tea Rose S., Gr.2, VRC Emirates Airline H., ATC Australian Turf Club H., Traffic Logistics 2YO H., 2d ATC Flight S., Gr.1, Vinery Stud S., Gr.1, Clubs NSW West Metro Region P., 3d ATC Surround S., Gr.2, 4th MRC Thousand Guineas, Gr.1. MIGHTY LUCKY (09g, Octagonal, Lyphard). 9 wins from 1300m to 2000m, A$861,745, ATC Summer Cup, Gr.3, BRC Lord Mayor's Cup, Gr.3, ATC Festival S., L, Scone RC Luskin Star S., L, ATC Calm Aluminium H., TAB Royal Randwick H., Warwick Farm H., 2d ATC Shannon S., Gr.2, Hawkesbury Gold Cup, Gr.3, Canberra RC National Sprint H., L, ATC Bowermans Office Furniture H., TAB Rewards H., Canterbury Hurlstone RSL H., Octagonal H., Parramatta Catholiccare Social Services H., 3d Newcastle JC Cameron H., Gr.3, Newmarket H., Gr.3, Gosford Gold Cup, L, ATC Bankstown Sports Premier's Cup H., Cellarbrations Wyong November H., Warwick Farm H., 4th ATC Villiers S., Gr.2, Summer Cup, Gr.3, Festival S., Gr.3, Carrington S., L, Hawkesbury RC Ladies Day Cup, L.
CASINO DANCER (10f, Twining, Dr Grace). 6 wins-1 at 2-from 1100m to 1900m, A$529,475, ATC Angst S., Gr.3, MRC Eclipse S., Gr.3, ATC TAB Rewards P., 2d ATC Carbine Club S., Gr.3, Eremein H., Cellarbrations H., More Than Ready at Vinery H., Lindblad Expeditions H., TAB Rewards H., Hawkesbury RC Blakes Marine H., 3d VRC Matriarch S., Gr.2, ATC Summer Cup, Gr.3, Hawkesbury Gold Cup, Gr.3, ATC Filante H., TAB Rewards H., Ranvet H., Australian Turf Club H.
FINE BUBBLES (09f, Sri Pekan, Alquoz). 5 wins to 1400m, A$322,495, Newcastle JC Tibbie S., Gr.3, ATC Laundry Machinery Solutions H., BRC Gouldson Injury Law H., 2d ATC Australian Turf Club H., Bradford Soundscreen H., Canterbury Park H., TAB Iphone App H., Hyland Race Colours H., Theraces.com.au H., Big Sports Breakfast H., Tab.com.au H., 3d ATC Sapphire S., Gr.2, Theraces.com.au H., Lakes Podiatry H.
SOOKIE (09f, Encosta de Lago, Mr Henrysee). 4 wins-2 at 2-to 1350m, A$224,910, BRC Glenlogan Park S., Gr.3, Sky Racing H., Carlton Mid Brisbane Bloodstock Bonus 2YO P., 2d BRC Mode P., L, Channel Seven H., Mount Franklin H., 4th BRC BJ McLachlan S., Gr.3, ATC Canterbury Classic, L.
COOL GAMBLER - LIM'S CRUISER (SING.) (12g, Good Journey, Goldkeeper). Champion Sprinter in Singapore in 2017.8 wins from 1100m to 1600m to 2018, NZ$700, A$400, S$1,671,143, Singapore TC EW Barker Trophy, L, Lion City Cup, L-twice, Kranji Sprint, L, Kranji S., Gingerbread Man S., Super Gold S., Class 4 H., 2d Singapore TC Speed Baby S., Class 4 H., 3d Singapore TC Raffles Cup, L, Merlion Trophy, L, Stewards' Cup, L, Class 3 H., 4th Singapore TC Patron's Bowl, L.
CANTBUYBETTER (11g, Xaar, Marauding). 9 wins from 1000m to 1600m to 2017-18, A$342,275, BRC Members' H., L, Brisbane H., L, Canadian Club H., Toowoomba TC Wimmers Premium Drinks H., 2d BRC Kartaway H., IRT Roofing & Demolition H., SCTC Coastline BMW 4 Series H., 3d BRC Tails H., L, Channel 7 H., 4th BRC Brisbane H., L, Qld Tatt's RC GH Mumm H., L.
TIMELESS PRINCE (09g, Gilded Time, Rancher). 12 wins to 1500m, A$554,440, Sunshine Coast Cup, L, Scone RC Pages Equipment Country Cup, Tamworth Cup, ATC Winter Dash H., TAB Quaddie H., JB (Barry) Maher Memorial H., BRC Aon Industry Advantage H., 2d BRC Sprite H., SCTC 7 Local News 30th Anniversary Cup, ATC Blacktown Workers Club H., TAB Rewards H., BRC Bollinger H., 3d ATC Inglis Classic Sale Night H., Time to Shop at TAB H., Membership H., McGrath Estate Agents H.
PHRASES (09g, Stravinsky, Nassipour). 9 wins from 1250m to 2400m to 2018-19, A$517,695, ATC Randwick City S., L, Tab.com.au P., Mossman at Vinery H., Port Macquarie Cup, 2d ATC NE Manion Cup, Gr.3, Gosford Gold Cup, L, ATC Schweppes H., Hyland Race Colours H., Taree Cup, 3d ATC Mark Roufeil H., Ballina Cup. SLOTS (09f, Snippets, Marscay). 7 wins to 1350m, A$322,840, BRC Just Now H., L, ATC TAB More Than Winning H., James Boags H., 2d Gosford RC Takeover Target S., L, ATC Goldners Horse Transport H., 3d ATC Wenona Girl H., Gr.3, Scone RC Luskin Star S., L, ATC Pro-Ride Fly H., JLL H., BRC Ambassador Travel H., Newcastle JC Provincial Championship Qualifier. BACCARAT BABY (15f, Johannesburg, Fly So Free). 6 wins-2 at 2-from 1200m to 1650m to 2018-19, A$198,650, SCTC Princess S., L, BRC Sky Thoroughbred Central H., Smirnoff H., IGT Australia H., SCTC Sky Thoroughbred Central H., 3d BRC Jim Beam 2YO H., Midori P.
JACKPOT PRINCE (13g, Galileo, Twig Moss). 5 wins from 1700m to 2200m to 2017-18, A$150,975, WATC Belmont Classic, L, Crown Towers H., Gold Membership H., WA Day Weekend-Free Entry H., 3d WATC Aquanita S., L, Magic Millions H., Amelia Park H.
Sino Eagle (09f, Octagonal, Hurricane Sky). 7 wins to 1400m, A$336,360, VRC Mrs Mac's Family Bakery Sprint H., MRC Chris Flavelle H., VRC Indian Summer H., MRC Winning Edge Cup, Le Pine Funerals H., MVRC Sportingbet Best Tote Plus H., 2d MRC Catanach's Jewellers H., 3d VRC Frances Tressady S., Gr.3, MRC Alinghi S., L, Ken Sturt H., 4th VRC Aurie's Star H., Gr.3. Strength (09g, Ocean of Wisdom, Spectacular Bid). 5 wins to 1400m, A$88,595, 3d ATC Schweppervescence H., Gr.3, Hyland Race Colours H., 4th ATC Dulcify H., L.
Sweet Deal (14f, Royal Academy, Lunchtime). 4 wins to 1400m to 2018-19, A$310,970, ATC TAB Rewards H., Theraces H., 2d ATC Inglis 2YO Classic, RL, Events by ATC H., Agency Real Estate H., Bowermans Office Furniture H., 3d ATC Widden S., Gr.3, 4th ATC Magic Night S., Gr.3. Transonic (09f, Jet Master, Star Way). 4 wins from 1500m to 1900m, A$245,575, ATC Eremein H., Congrats at Vinery H., MRC (Mornington) Centrebet H., 2d ATC Scruffy Murphy's H., Canterbury Park H., MRC TVN P., 3d VRC Wakeful S., Gr.2, MRC Ethereal S., L, ATC Hyland Race Colours H.
Casino Fourteen (14c, More Than Ready, Kris S). 3 wins-1 at 2-to 1500m to 2018-19, A$83,690, 2d VRC Anzac Day S., L, 3d SAJC Sires' Produce S., Gr.3. Trophies (09g, Southern Halo, Gold Trojan). 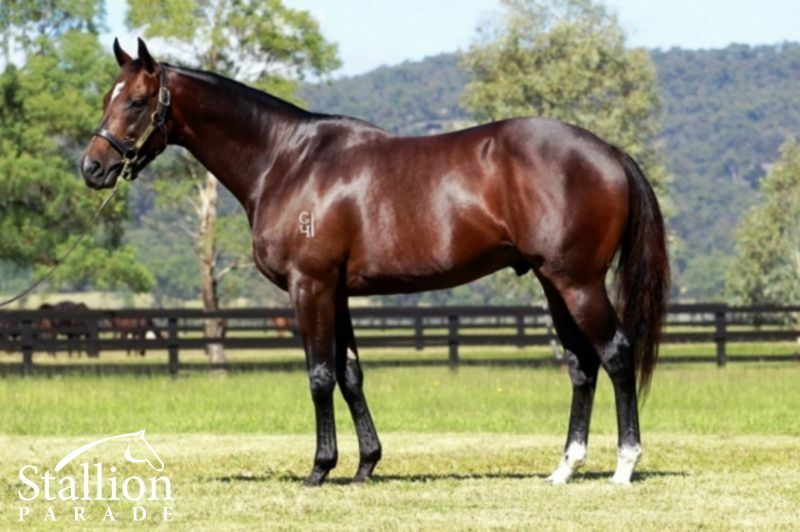 Winner at 1300m, A$85,200, 2d Newcastle JC Spring S., Gr.3, ATC Fernhill H., L.
Casino Belle (10g, Rory's Jester, Vain). 8 wins at 1300m, 1400m to 2017-18, A$169,975, Kalgoorlie Boulder RC Barminco Golden Whip H., 3d Kalgoorlie Boulder RC Hannan's H., L, WATC Crown Sports Bar H.
Casino Card (09f, Lure, Diesis). 6 wins-2 at 2-to 1400m, A$113,705, Ipswich TC Schweppes TL Cooney H., 2d Sunshine Coast Guineas, L, BRC XXXX Gold H., 4th BRC Just Now H., L.
Knight Wager (10g, More Than Ready, Anabaa). 4 wins at 1200m, 1400m, NZ$26,600, S$243,945, Singapore TC Kranji B S., ARC Maserati H., Singapore TC Class 4 H.-twice, 2d Singapore TC Benchmark 83 H., Class 3 H.-twice, 3d Singapore TC Stewards' Cup, L, Benchmark 89 H., Benchmark 83 H., Class 4 H.
Crown Him (13g, Savabeel, Last Tycoon). 2 wins at 1300m, 1550m, A$98,510, ATC Pluck at Vinery H., 2d ATC Fernhill H., L, 3d ATC Phoenix Fire Protection H., 4th ATC Schweppervescence H., Gr.3. Good Prince (11g, Made of Gold, Scenic). Winner at 1000m, 2d MRC Debutant S., L.
Mikuni (14c, Marauding, Prince Cidium). 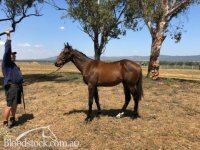 Placed at 2, 2d MRC Merson Cooper S., L, SAJC Melbourne Parkview Hotel 2YO P.
Flying Casino (09g, Spinning World, Kenmare). 15 wins from 1500m to 3200m to 2017-18, A$428,200, Oakbank RC Onkaparinga Cup, SAJC Lane Vineyard H., New Morphett Arms Hotel H., Little Heroes Foundation H., Adelaide Cup Raceday H., Hughes Limousines H., Schweppes H., Jockey Celebration Day H., Peter Elberg Funerals H., 2d SAJC Adelaide Galvanising H., William Hill H., Campolina Stud H., Holdfast Insurance H., James Boag's Premium H., Atlanta Refrigeration H., 3d SAJC Ubet H., Dominant H., Alberton Hotel H., Spring Carnival H., Wolf Blass Wines H., Ubet Adelaide Cup 12/3 H., Adelaide Cup Raceday H., William Hill H., Greg Oates Memorial H., Schweppes H.-twice, Tattsbet Adelaide Cup Raceday H.
Sofin (10f, Galileo, Mukddaam). 9 wins-1 at 2-from 1200m to 2000m, A$297,555, Port Macquarie Cup, ATC Autumn Hospitality on Sale H.
His sire sons include All Too Hard (7), etc. Leading Aust. First Season Sire in 2011-12. FLYING SPUR (AUS) (Bay 1992-Stud 1996). 6 wins-3 at 2, STC Golden Slipper S., Gr.1. Champion Aust. Sire 2006-07. Sire of 1506 rnrs, 1024 wnrs, 99 SW, inc. Forensics (STC Golden Slipper S., Gr.1), Boom Time, Mentality, Sacred Star, Alverta, San Luis, Juanmo, Casino Prince, Inspiration, Sleek Chassis, Magnus, Dealer Principal, All Time High, Flying Babe, Mahuta, Satin Shoes, Montana Flyer, Jet Spur, Hazard, Mushreq, Vintedge, Wager, Blur, etc. CASINO PRINCE (c by Flying Spur) 5 wins. See below. TAGUS (g by Encosta de Lago) 10 wins from 1300m to 1800m, A$551,080, NSW Tatt's RC Tramway H., Gr.3, VRC Bundaberg Distilling Company S., L, SAJC City of Adelaide H., L, STC Protect the Hunter Valley H., AJC Jim Beam H., STC Golden Slipper Festival on Sale H., Spring Valley Smart Water H., Freeway Republic Beer H., 2d STC Caravan & Camping Supershow H., 3d SAJC RA Lee S., Gr.3, BRC Lord Mayor's Cup, Gr.3, ATC Hall Mark S., L, BRC Bernborough H., L, Scone Cup, L, MRC Harrolds Fashion P., STC Inghams Love'em H., Sale Cup, 4th BTC Doomben Classic, Gr.3. 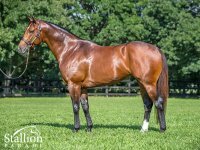 LORD OF THE LAND (c by Timber Country (USA)) 7 wins from 1500m to 2400m, A$310,650, AJC Aspiration H., L, STC Christmas Cup, L, Roxy Hotel Parramatta H., WSFM 101.7 H., AJC Red Bull H., McGrath Estate Agents H., STC Centenary Insitute H., 2d STC Jacob's Creek H., City Tatt's RC Omega Welter H., Canberra Quality Guineas, AJC James White H., 4th STC Rosehill Guineas, Gr.1, AJC Summer Cup, Gr.3. METALLURGICAL (g by Redoute's Choice) 6 wins at 1000m, 1200m, A$312,040, BRC Hinkler H., L, Metricon Homes De Blancs H., Replica Trophies at Winningedge.net.au H., Toyota Fleet Management H., Game on International H., 2d Qld Tatt's RC WJ Healy S., Gr.3, BRC Chief de Beers H., L, Ascot H., L, Bribie H., L-twice, STC Di Lorenzo Ceramics H., BRC Skyracing.tv H., 3d AJC Convention Centre H., STC The Integra H., Hyland Race Colours P., 4th VRC Seppelt Salinger S., Gr.2, BRC Lightning H., L, Chief de Beers H., L.
Reflectance (g by Redoute's Choice) 8 wins-1 at 2-to 1500m, A$379,865, BRC T&J Whitehouse H., Jim Beam H., ATC PJ's Irish Pub Parramatta H., WATC Merry Xmas From Racing H., 2d Kalgoorlie Boulder RC Hannan's H., L, BRC Termidor H., Ormiston College Redback H., ATC Darley Bush Fire Support H., TAB Rewards H., De Bortoli Wines H., WATC Black Widow H., 3d BRC Ambassador Travel H., WATC Young Membership H., Like Us on Facebook H., Irish Race Day 10th October H.
Chateau Cheval (f by High Chaparral (Ire)) 3 wins at 1200m, A$105,635, MRC Ladbrokes Boost Extra H., 2d MRC Ladbrokes Odds Boost H., Hamilton Reid Chartered Accountants H., Mypunter.com H., SAJC Quayclean H., 3d VRC York Racecourse H.
Typhoon Witness (f Star Witness) Winner at 1250m, SAJC Rewaaya P., 2d SAJC Dequetteville S., L, 4th SAJC Queen Adelaide S., L.
Experimentation. 2 wins at 1050m, 1200m to 2018-19, SAJC Black Swan Classic Dips H., 2d MVRC Sporting Globe After Last P., 3d SAJC Aami Riziz Sprint Final H.
Fandom. 2 wins at 2, MRC (Mornington) Hyland Race Colours 2YO H., 3d VRC Fitzpatrick & Lombardo H.
In Too Deep. Winner at 1200m in 2018-19 in Aust. Graciousness (f by Street Cry (Ire)) Winner at 1600m in 2017-18 in Aust. ONEMORENOMORE (c Red Ransom) Joint second on 2008-09 Australasian 2YO Classification. 2 wins at 2, A$456,510, AJC Champagne S., Gr.1, TL Baillieu H., L, 2d MRC Norman Robinson S., Gr.3, 3d AJC George Main S., Gr.1, STC Silver Slipper S., Gr.2, AJC Breeders' P., L, 4th AJC Sires Produce S., Gr.1, Up & Coming S., Gr.3, Ming Dynasty H., L. Sire. DR GREEN (c Fusaichi Pegasus) 2 wins-1 at 2-at 1000m, 1300m, WRC Wellesley S., L, Wanganui Guineas, L, 2d Hawke's Bay Guineas, Gr.2, Counties Challenge S., L, 3d STC Silver Slipper S., Gr.2, 4th STC Todman Slipper Trial S., Gr.2, Wellington Guineas, Gr.2. Sire. Lady Capel (f Last Tycoon) 4 wins. See above. FLYING SPUR 6 wins-3 at 2-from 1000m to 1600m, A$2,051,090, STC Golden Slipper S., Gr.1, AJC All-Aged S., Gr.1, Australian Guineas, Gr.1, STC Peter Pan S., Gr.2, VATC Blue Diamond Prelude, Gr.3, Street Cafe 2YO H., 2d VATC Blue Diamond S., Gr.1, Futurity S., Gr.1, STC Hill S., Gr.2, AJC Up & Coming S., Gr.3, VATC Zeditave S., L, Rancher H., L, 3d VRC Sires' Produce S., Gr.1, STC George Ryder S., Gr.1. He entered stud in Aust. in 1996. Champion Aust. Sire in 2006-07, third in 2007-08. Leading Aust. Sire of 2YOs in 2006-07. 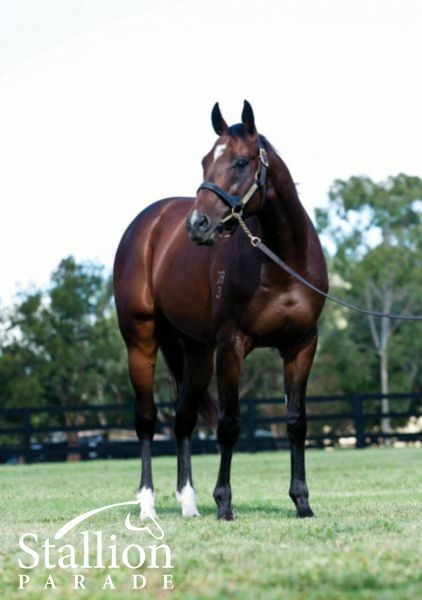 Leading NZ Sire of 2YOs in 2000-01. Sire of 1506 progeny to race, 1024 winners (67.0%), earnings of over $136 million, 99 stakes winners, 74 stakes placegetters, inc.
MENTALITY (03g, Quiet American, Princely Native). Joint Head of the 2006-07 Australasian 3YO Classification. Joint top colt on The 2005-06 Australasian 2YO Classification.8 wins-2 at 2-from 1200m to 1600m, A$2,142,695, AJC Champagne S., Gr.1, Randwick Guineas, Gr.1, George Main S., Gr.1, STC Expressway S., Gr.2, Premiere S., Gr.2, Canterbury S., Gr.2, AJC TL Baillieu H., L, STC Run to the Rose H., L, 2d AJC Doncaster H., Gr.1, STC George Ryder S., Gr.1, AJC Villiers S., Gr.2, ATC Ajax S., Gr.2, STC Apollo S., Gr.2, AJC Phillip Quality H., Telstra Stadium Charity Shield 2YO H., STC Flora 2YO H., 3d AJC Chipping Norton S., Gr.1, STC Ajax S., Gr.2, Golden Rose S., Gr.3, AJC Breeders' P., L, STC Jim Beam Shed H., 4th STC Expressway S., Gr.2, Premiere S., Gr.2, ATC Festival S., L, MRC Blue Diamond Preview (c&g), L.
FORENSICS (04f, Dehere, Naturalism). Champion 2YO filly in Aust/NZ in 2006-07.7 wins-3 at 2-from 1100m to 1600m, A$3,525,500, STC Golden Slipper S., Gr.1, VRC Myer Classic, Gr.1, STC Queen of the Turf S., Gr.1, AJC Light Fingers S., Gr.2, STC Golden Rose S., Gr.2, AJC Kindergarten S., Gr.3, STC Hyland Race Colours 2YO H., 2d STC Theo Marks S., Gr.2, Canterbury S., Gr.2, 4th VRC Rose of Kingston S., Gr.2, STC Reisling Slipper Trial S., Gr.2. SACRED STAR (09g, O'Reilly, Centaine). Champion Sprinter in NZ in 2014-15.9 wins-1 at 2-from 1200m to 1900m, NZ$468,000, A$272,300, WRC Telegraph H., Gr.1, Waikato Sprint, Gr.1, BRC QTC Cup, Gr.2, ARC Darley P., Gr.3, ATC Startrack H., Waikato RC Pathways Immig Specialist H., Counties RC Vernon & Vazey Truck Parts Ltd H., BOP RC Stewart Browne Group H., 2d Waikato Sprint, Gr.1, 3d WRC Thorndon Mile, Gr.1, 4th ARC Railway S., Gr.1, Hawkes Bay Windsor Park P., Gr.1, Waikato Sprint, Gr.1. JUANMO (98f, Marauding, Nishapour). 3 wins at 2, A$520,850, QTC TJ Smith Classic, Gr.1, Sires' Produce S., Gr.1, 2d GCTC Ken Russell Memorial Classic, L, 3d QTC Triple M's Blood, Sweat 'n' Beers H.
ALVERTA (03f, Rahy, Shadeed). Joint Champion Older Female Sprinter in GB in 2010.8 wins from 1200m to 1600m, £43,080, A$1,040,725, STC Coolmore Classic, Gr.1, AJC Breeders Classic, Gr.2, BRC Just Now H., L, QTC Brisbane H., L, Hawkesbury Guineas, L, STC Golden Slipper Festival H., 2d Hawkesbury Gold Cup, Gr.3, AJC Razor Sharp H., L, Wenona Girl H., L, BRC Bernborough H., L, QTC Ascot H., L, Scone RC Dark Jewel Classic, L, Gosford RC Belle of the Turf S., L, 3d Newmarket July Cup, Gr.1, Qld Tatt's RC Winter S., Gr.1, AJC Villiers H., Gr.2, BRC J Cadell Garrick H., L, SCTC Glasshouse H., L, STC Birds Eye View H., 4th ATC TJ Smith S., Gr.1, MVRC Tesio S., Gr.3, STC Darby Munro S., L, Festival S., L, QTC Lightning H., L.
INSPIRATION (03g, Last Tycoon, Lunchtime). 9 wins-1 at 2-at 1000m, 1200m, HK$15,475,650, Cathay Pacific Hong Kong Sprint, Gr.1, HKJC Centenary Sprint Cup, L, Premier Bowl H., L, Big Wave Bay H., East Point H., Niigata P., Tung Chung H., Hebei H., Chung on H., 2d HKJC Po Leung Kuk Centenary Cup, London H., Amah Rock H., Faculty of Architecture H., General Council of the Bar of South Africa P., Central Affairs II P., 3d HKJC Juvenile Sprint Trophy, London H., 4th HKJC Sprint Cup, L.
BOOM TIME (11c, Snippets, Zephyr Zip). 8 wins from 1600m to 2500m to 2017-18, A$2,546,225, MRC Caulfield Cup, Gr.1, Mornington Cup Prelude, L, WATC Melvista S., L, VRC Poitrel Hall of Fame Trophy H., Skipton H., MRC Robert Taranto H., VRC Antler Luggage H., MVRC 1print H., 2d VRC Living Legend REM Mallyon H., WATC Kryptonite H., Westspeed H., 3d Western Australian Derby, Gr.2, MVRC JRA Cup, Gr.3, WATC JC Roberts S., L, MVRC Ladbrokes H., WATC Westspeed Nursery H., Westspeed H., 4th MRC Herbert Power S., Gr.2. CASINO PRINCE (03c, Last Tycoon, Kenmare). 5 wins-3 at 2-from 1100m to 1600m, A$1,166,500, AJC Chipping Norton S., Gr.1, MVRC Alister Clark S., Gr.2, AJC Skyline S., Gr.3, Telstra Stadium Charity Shield 2YO H., STC Flora 2YO H., 2d AJC Doncaster H., Gr.1, VRC Australian Guineas, Gr.1, AJC Diggers Bistro 2YO P., 3d VRC Australian Cup, Gr.1, AJC All Aged S., Gr.1, STC George Ryder S., Gr.1, MVRC Norman Carlyon S., Gr.2, 4th STC George Ryder S., Gr.1. MAGNUS (02c, Snippets, Vain). 4 wins to 1200m, £23,000, A$1,086,610, S$202,500, AJC Galaxy H., Gr.1, VRC Age Classic S., Gr.2, STC Big Sports Breakfast H., 2d VRC Newmarket H., Gr.1, Lightning S., Gr.1, MRC Oakleigh P., Gr.1, Caulfield Sprint H., Gr.2, AJC Shorts H., Gr.3, SAJC WH Wylie H., L, Singapore TC Krisflyer International Sprint, L, MRC BSB Packaging P., 3d MRC Oakleigh P., Gr.1, Royal Ascot King's Stand S., Gr.2, MRC Heath S., L, 4th AJC TJ Smith S., Gr.1, VRC Newmarket H., Gr.1, AJC Galaxy H., Gr.1. SLEEK CHASSIS (04f, Kaapstad, Noble Bijou). 3 wins at 2, A$821,150, MRC Blue Diamond S., Gr.1, VRC Talindert S., L, MRC Allan Wicks 2YO P., 2d MRC Quezette S., L, MVRC Cathay Pacific Airways 2YO P., 3d STC Reisling Slipper Trial S., Gr.2, MRC Thousand Guineas Prelude, Gr.3. SAN LUIS (98c, Without Fear, Pia Star). Joint Champion 2YO Colt in NZ in 2000-01. Joint top colt on The 2000-2001 NZ 2YO Free H.3 wins at 2, NZ$181,850, Manawatu Sires' Produce S., Gr.1, Taranaki 2YO Classic, Gr.3, 2d ARC Ellerslie Sires' Produce S., Gr.1, New Zealand Two Thousand Guineas, Gr.1, Matamata RC Slipper S., L, Avondale JC Mercedes Super Bonus Juvenile H., 4th WRC Wakefield Challenge S., Gr.3. DEALER PRINCIPAL (04g, Marauding, Whiskey Road). 4 wins from 1300m to 2000m, A$596,100, STC Rosehill Guineas, Gr.1, AJC Members H., Silver Sharpe H., STC Autumnracingcarnival.com.au H., 2d STC Hill S., Gr.2, 3d AJC Ascend Sales & Sponsorship Consultancy H., 4th Australian Derby, Gr.1, AJC Craven P., Gr.3. ALL TIME HIGH (97f, Northern Spring, Landau). 2 wins-1 at 2-at 1000m, 1600m, A$413,700, VATC Thousand Guineas, Gr.1, SAJC Alcohol Go-Easy 2YO H., 2d SAJC Sires' Produce S., Gr.3, VATC Quezette S., L, 3d VATC Tranquil Star S., Gr.3, 4th VRC Edward Manifold S., Gr.2, MRC TS Carlyon Cup, Gr.2, SAJC Alcohol Go-Easy S., L.
FLYING BABE (98f, Bletchingly, Balmerino). 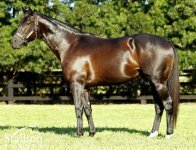 Champion 2YO in NZ in 2000-01 & Head of The 2000-01 NZ 2YO Free H.7 wins-6 at 2-at 1000m, 1200m, NZ$423,675, Matamata Breeders' S., Gr.2, ARC Eclipse S., Gr.3, Hawkes Bay Gold Trail S., Gr.3, ARC Great Northern Foal S., L, Waikato RC Super Bonus Classique, RL, CJC Avonhead Tavern Juvenile S., Avondale JC Mercedes Super Bonus Juvenile H., 2d Rotorua RC Lion Red P., Gr.3, ARC Lion Red Juvenile H., 3d ARC Ellerslie Sires' Produce S., Gr.1, 4th New Zealand One Thousand Guineas, Gr.1. MAHUTA (12c, Zabeel, Diesis). 6 wins from 1400m to 1600m, A$1,752,960, MRC Sandown Guineas, Gr.2, Autumn S., Gr.2, VRC Carbine Club S., Gr.3, GCTC Magic Millions Guineas, RL, MRC Gothic S., L, 3d MRC Memsie S., Gr.1, Bletchingly S., Gr.3. SATIN SHOES (08f, Volksraad, Kaapstad). 6 wins-3 at 2-at 1000m, 1100m, A$804,850, ATC Silver Slipper S., Gr.2, Widden S., L, MRC Quezette S., L, Scone RC Ortensia S., L, MRC Carlton Draught P., City Tattersalls 2YO P., 2d ATC Reisling S., Gr.2, Shorts H., Gr.2, Premiere S., Gr.2, Challenge S., Gr.2, SAJC Centrebet Classic, Gr.2, 3d VRC Coolmore Stud S., Gr.1, NSW Tatt's RC Concorde S., Gr.3, 4th VRC Lightning S., Gr.1. MONTANA FLYER (05f, Bluebird, Biscay). 4 wins-1 at 2-to 1300m, A$528,025, AJC Roman Consul S., Gr.2, STC Millie Fox S., Gr.3-twice, Rosehill Gardens Grand Pavilion 2YO H., 2d AJC Breeders Classic, Gr.2, STC Research S., Gr.3, AJC Alexandria H., STC Retirement & Lifestyle Expo H., 3d STC Queen of the Turf S., Gr.1, MVRC Red Anchor S., Gr.3, VRC Desirable S., L, 4th Qld Tatt's RC Tattersall's Tiara, Gr.1, AJC Light Fingers S., Gr.2, STC Concorde S., Gr.3, ATC June S., L, AJC Gimcrack S., L.
JET SPUR (02c, Bletchingly, The Judge). 3 wins at 1100m, 1200m, A$417,200, MRC Caulfield Sprint H., Gr.2, VRC Rory's Jester P., Gr.3, STC Heritage S., L, 2d AJC Brian Crowley S., L, 3d Canberra RC Black Opal S., Gr.3, 4th STC Silver Slipper S., Gr.2. HAZARD (09f, Fantastic Light, Nureyev). 10 wins-1 at 2-from 1000m to 1600m, A$589,615, BRC Dane Ripper S., Gr.2, SAJC Proud Miss S., Gr.3, MRC Ern Jensen Funerals H., Cath White Memorial H., Bendigo JC Catanach's Gold Bracelet, MRC Thomas North H., Sportingbet H., Grand Hotel Frankston H., 2d MRC Mannerism S., Gr.3, WW Cockram S., Gr.3, SAJC Laelia S., L, 3d MRC (Mornington) Hareeba S., L, MVRC Pantry Packer H.
VINTEDGE (05f, Rory's Jester, Godswalk). 6 wins from 1400m to 2000m, A$610,210, VRC Matriarch S., Gr.2, Newcastle JC Tibbie S., L, AJC Convention Centre H., Randwick Betting Auditorium H., Miss Comanche H., STC Champs Cafe H., 2d AJC Toy Show H., L, VRC TAB Sportsbet H., AJC Royalrandwick.com H., Friends of Royal Randwick H., Betting Auditorium H., 3d ATC Japan Racing Association P., L, Epona S., L, Wyong RC Mona Lisa S., L, STC Green Lips Media H., AJC St George Cancer Care H., Star City H., International Passport H., John Vouris H., ATC Ingham Love 'em H., STC Bells at Killcare H., Elliott House Accountants H., 4th Gosford RC Belle of the Turf H., L.
BLUR (99c, Canny Lad, Veloso). 6 wins-2 at 2-to 1400m, A$515,440, MRC Caulfield Sprint H., Gr.2, SAJC Smoke-Free SA S., Gr.3, MRC Bolle Classic H., VRC Australasia Winter Championship Heat 2, STC Matador Tow Bars 2YO H., QTC Aqueduct H., 2d VRC Rory's Jester S., Gr.3, SAJC Jansz S., Gr.3, MRC Christmas S., L, MVRC M & M's 2YO P., 3d VATC Merson Cooper S., L, SAJC Manihi Classic, L, 4th QTC TJ Smith Classic, Gr.1, GCTC Magic Millions 3YO Trophy, RL. SPURN (97f, Licorice Stick, In the Purple). 6 wins from 1200m to 1600m, A$358,680, MVRC Sunline S., Gr.2, MRC Mannerism S., Gr.3, Cendrillon H., VATC Imposera H., Ryan Carlisle Thomas P., 2d MRC City of Glen Eira Cup, L, TP Fenner H., VATC What's the Verdict H., 3d VRC New P., Gr.3, SAJC Auspine Limited H., 4th SAJC Baker Young Trophy, L, Balcrest S., L.
MUSHREQ (08g, Jeune, Last Tycoon). 5 wins-1 at 2-from 1200m to 2000m, R220,850, 1,740,180Dhs, Meydan Al Fahidi Fort S., Gr.2, Singspiel S., L, Dubal Billet Trophy, Vaal Joburg Tyres P., 2d Greyville Golden Horseshoe S., Gr.1, Meydan Al Rashidiya S., Gr.2, Abu Dhabi Championship, Gr.3, Meydan Singspiel S., L, 3d Meydan Zabeel Mile S., Gr.2, Turffontein Rugby 5 Try it P., 4th Kenilworth Politician S., L.
WAGER (01f, Lunchtime, Biscay). 4 wins-2 at 2-at 1100m, 1400m, A$804,400, AJC Stan Fox S., Gr.2, QTC Sir Byrne Hart S., Gr.2, STC Schweppes Lemonade 2YO H., Crusoe's Fijian Retreat 2YO H., 2d AJC Champagne S., Gr.1, Sires' Produce S., Gr.1, MRC Blue Diamond S., Gr.1, AJC Silver Shadow S., Gr.2, STC Tea Rose S., Gr.2, NSW Tatt's RC Furious S., Gr.3, 4th STC Reisling Slipper Trial S., Gr.2. STEENBERG (99g, Cawston's Clown, Hotfoot). 4 wins-1 at 2-at 6f, 7f, £194,037, €37,852, York Duke of York S., Gr.2, Doncaster Wentworth S., L, Ascot Shergar Cup Juvenile H., Haydock Freephone Stanleybet S., 2d York Duke of York S., Gr.2-twice, Curragh Gladness S., Gr.3-twice, Royal Ascot Jersey S, Gr.3, 3d Deauville Prix de Ris-Orangis, Gr.3, Newcastle Chipchase S., Gr.3, York City of York S., L, 4th Haydock Sprint Cup, Gr.1, Newmarket King Charles II S., L, Salisbury Sovereign S., L.
PONTON FLYER (97f, Northern Spring, Forlorn River). 4 wins-3 at 2-at 1000m, 1600m, A$803,700, VRC AV Kewney S., Gr.2, VATC Blue Diamond Preview (f), Gr.3, Swinburne Research 2YO P., Lady Jakeo 2YO H., 2d VRC Sires' Produce S., Gr.1, VATC Blue Diamond S., Gr.1, Thousand Guineas, Gr.1, Tranquil Star S., Gr.3, 3d VATC Angus Armanasco S., Gr.2, VRC Vanity S., Gr.3, VATC Blue Diamond Prelude (f), Gr.3, August H., 4th VRC Let's Elope S., L.
SPURUSON (01g, Nureyev, Kenmare). 6 wins from 1000m to 2100m, A$223,320, QTC Grand Prix S., Gr.2, STC Cathay Pacific H., Integra Welter H., 2d QTC Marco Polo H., L, Tamworth JC Gainsborough S., L, STC TAB Power Pays Welter H., 3d QTC Cup, Gr.2, AJC McGrath Estate Agents H., 4th Newcastle JC Newmarket H., Gr.3. ASTRODAME (01f, Last Tycoon, Luskin Star). 4 wins from 1200m to 1600m, A$515,925, MVRC WH Stocks S., Gr.2, VRC RSL P., Maltby H., MRC Clamms Seafood Classic H., 2d MRC Angus Armanasco S., Gr.2, VRC Frances Tressady S., Gr.3, MRC Autumn S., L, Bint Marscay 2YO H., 3d VRC AV Kewney S., Gr.2, Rose of Kingston S., Gr.2, Matron S., Gr.3, MRC Tranquil Star S., Gr.3, Boronia S., L, VRC Western Health Cup H., MRC Classic Caulfield Ladies' Day Vase H., Archie Yuille 2YO H., 4th VRC Edward Manifold S., Gr.2, MVRC Woodstock Mile Oaks, Gr.2, WH Stocks S., Gr.2, VRC Let's Elope S., Gr.3, Waltzing Lily H., L.
TREZEVANT (01f, Bletchingly, Whiskey Road). 3 wins-2 at 2-to 1400m, A$208,950, AJC Light Fingers S., Gr.2, STC Rotary Health Research 2YO H., AJC Marriott Hotels Australia 2YO P.H., 3d AJC Silver Shadow S., Gr.2, STC Vodka Cruiser H.
FRENCH BRAIDS (97f, Fast Play, Tentam). 3 wins at 2, A$787,435, STC Silver Slipper S., Gr.2, AJC Heroic 2YO Championship, San Miguel Super Dry 2YO H.
KRUPT (05c, Hennessy, Forli). Winner at 2, A$217,450, STC Todman S., Gr.2, 2d AJC Kindergarten S., Gr.3, 3d AJC Soho Square 2YO P.
SHAFT (04c, Rahy, Last Tycoon). Winner at 2, A$216,450, STC Silver Slipper S., Gr.2, 3d STC Todman Slipper Trial S., Gr.2. VELASCO (01f, McGinty, Gold Sovereign). Winner at 2, Matamata Breeders' S., Gr.2, 3d ARC Ellerslie Sires' Produce S., Gr.1, Guineas Trial, L, Waikato RC Wentwood Grange 3YO H., Avondale JC Poison Ivy Juvenile H., 4th Waikato RC Star Way S., L.
OSTERHASE (99g, Rustan, Segnes). Champion Older Male Sprinter in Ireland in 2004.12 wins-1 at 2-to 6f, £9,861, €564,421, Curragh Phoenix Sprint S., Gr.3, Richard H Faught Memorial S., L, Belgrave S., L-twice, Naas Sprint S., L-twice, Fairyhouse Cork S., L, Curragh Rockingham H.-twice, www.currah.ie H., 2d Curragh King of Beers S., L-twice, Cork Sprint S., L, Tipperary Abergwaun S., L, Curragh Rockingham H., 3d Curragh Flying Five S., Gr.3, Richard H Faught Memorial S., L, Naas Sprint S., L, Naas S., L, Curragh Sponsor a Race at the Curragh H., 4th Longchamp Prix de l'Abbaye de Longchamp, Gr.1, Curragh Phoenix Sprint S., Gr.3, Naas Woodlands S., L.
VOLATA - FIREBOLT (H.K.) (98g, Music Boy, My Swallow). 5 wins-1 at 2-at 1000m, 1200m, £44,933, HK$12,797,000, Newcastle Chipchase S., Gr.3, Haydock Sandy Lane S., L, HKJC Centenary Sprint Cup, L, Sha Tin Vase, L, Newmarket Mix-It 2YO S., 2d Hong Kong Sprint, Gr.1, HKJC Bauhinia Sprint Trophy, L-twice, Centenary Sprint Cup, L, 3d HKJC Chairman's Sprint Prize, L-twice, Centenary Sprint Cup, L, International Sprint Trial H., L, Sha Tin Sprint Trophy, L, 4th Hong Kong Sprint, Gr.1, HKJC Bauhinia Sprint Trophy, L.
PRIMUS (02c, Hector Protector, Mighty Kingdom). 4 wins to 1400m, A$524,780, NSW Tatt's RC Tramway H., Gr.3, AJC Show County H., L, NSW Tatt's RC Ming Dynasty H., L, STC Tooheys New H., 2d AJC Stan Fox S., Gr.2, 3d AJC Canterbury Guineas, Gr.1, MRC Caulfield Guineas, Gr.1, STC Rosehill Guineas, Gr.1, Expressway S., Gr.2, Michael Hansell Signs H., 4th Australian Derby, Gr.1, STC Apollo S., Gr.2. JOY OF FLIGHT (99f, Bletchingly, Boucher). 9 wins from 1100m to 2000m, A$308,110, MVRC Tesio S., Gr.3, SAJC Centaurea Trophy, L, VRC Cadbury Roses Mother's Day P.H., MRC Victorian Wakeful Club P., Florence H., MVRC Harry White H., SAJC Adelaide Festival Centre P., 2d MVRC Leilani H., Alcoa Wheel Products H., MRC Wynette H., 3d VRC Desirable H., L, Jayco 30th Anniversary H., MVRC Winning Edge Presentations H., 4th VRC Matron S., L, Qld Tatt's RC Tattersall's Mile, L.
SPURTONIC (09g, Nassipour, Luskin Star). 6 wins from 1400m to 2000m, A$532,210, MRC David Jones Cup, Gr.3, GCTC Magic Millions Cup, RL, ATC Tab.com.au H., Yellowglen P., Hyland Race Colours H., 2d ATC Schweppes H., Turf Club H., Draincorp H., 4th ATC Epsom H., Gr.1, Newcastle JC Cameron H., Gr.3. ROSA'S SPUR (02f, Rory's Jester, Three Legs). 6 wins to 1450m, A$271,250, QTC Dane Ripper P., Gr.3, Scone RC Dark Jewel Classic, L, 2d Wyong RC Mingara Mile, STC P&N Beverages H., 3d AJC UD Nissan Diesel Trucks H., STC Blacktown Workers Club Group H., 4th STC Epona S., L.
ROCKFORD BAY (01g, Laudham Star, Brigand). 6 wins from 1200m to 1600m, A$441,130, VRC Yallambee Stud S., Gr.3, SAJC Adelaide Guineas, Gr.3, VRC Vili's H., MVRC Indulgence-Hair-Body-Soul H., 2d MRC Igloo H., Lawrence H., Mildura Cup, 3d MVRC Crystal Mile H., Gr.2, VRC Barbie's 45th Anniversary S., L, QTC Ascot H., L, VRC Peter Rowland at Flemington H., MRC Pink Ribbon Cup, Hayman Classic, Jayco H., April 2YO H., 4th WATC Railway S., Gr.1, MVRC Alister Clark S., Gr.2. DAKASHA (00f, Well Decorated, Going Straight). 6 wins from 1600m to 2450m, A$268,315, TTC Launceston Cup, Gr.3, Tasmanian St Leger, L, SAJC Distinctive Homes H.-twice, Stuart Crystal H., Carlton Draught H., 2d SAJC Allan Scott Park Morphettville H., Irish Day 7 August H., Schweppes H., Distinctive Homes H.-twice, Mitsubishi H., 3d SAJC Kirrihill Wines H., Schweppes H., Salisbury North Football Club H., Super Lou Distance H., Anzac Day 2YO H., 4th TTC Queen's Cup, Gr.3. AMTRAK (00c, Century, Francis Bacon). 5 wins to 1400m, A$355,275, MRC Moonga S., Gr.3, Sandown S., Gr.3, MVRC Buy Your Racing Calendar Now H., MRC Burberry H., 2d MRC JJ Liston S., Gr.2, VRC Yallambee Stud S., Gr.3, Paris Lane S., L, 3d VRC Gilgai S., Gr.3, MRC Ryan Carlisle Thomas H.
BLISS STREET (08f, Jade Robbery, Night Shift). 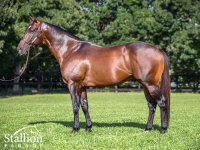 4 wins-2 at 2-at 1200m, 1400m, A$386,456, WATC Sires' Produce S., Gr.3, MRC Thousand Guineas Prelude, Gr.3, WATC Westspeed 3YO H., Westspeed 2YO P., 2d VRC Edward Manifold S., Gr.2, MVRC Alexandra S., L, 3d VRC AV Kewney S., Gr.2, WATC Gimcrack S., L, Magic Millions Perth 3YO Trophy, Westspeed 2YO P., 4th MRC Regal Roller S., L.
MASLINS BEACH (03f, Kings Island, Red Lord). 4 wins from 1400m to 1600m, A$214,975, MVRC Tesio S., Gr.3, SCTC Sunshine Coast Guineas, L, AJC Heat of the Moment H., STC Canterbury Park Events H., 2d QTC Brisbane P., L, MRC Redoute's Choice P., 3d STC Hyland Race Colours H., 4th Queensland Guineas, Gr.2, MRC Hyderabad Race Club S., Gr.3. VOLITANT (01c, Bletchingly, Showdown). 4 wins at 1250m, 1400m, A$300,250, MRC Moonga S., Gr.3, Victoria H., Gr.3, Hayman Classic H., 2d MVRC Alister Clark S., Gr.2, Carlton Draught Sprint H., Spiral Group H., 3d VRC Bobbie Lewis H., Gr.3, Springtime S., L, MRC Zeditave S., L, Bendigo JC Rositas Lass H.
SPURRED ON (97g, Broad Reach, Imposing). 4 wins from 1300m to 2000m, A$245,540, AJC Frank Packer P., Gr.3, Carbine Club S., L, Chambers Cellars H., STC Tooheys New Night Racing H., 2d AJC Ashby Doble H., Qantas H., 3d AJC Exchange Hotel Balmain 2YO H., Newcastle JC Coca Cola Amatil 2YO Classic P., AJC Silver Saddle Brasserie H., De Bortoli Staff H., City Tatt's RC Club H., STC Malvern 2YO H.
UTILITY (01g, Nassipour, Three Legs). 9 wins from 1200m to 2000m, A$324,935, MRC Eclipse S., Gr.3, VRC Emirates Airline H., SAJC Go Karts Pooraka H., MRC Planet Ruler H., 2d VRC TSL P., MRC Ladies' Day P.H., 3d VRC William Newton VC H., SAJC Sportingbet H., MRC Oppressor H., Darwin TC Chief Minister's Cup H., Wangaratta Cup, 4th VRC Chester Manifold S., L.
NOVEMBER FLIGHT (01f, Zabeel, Kaoru Star). 7 wins to 1400m, A$259,320, STC Millie Fox S., Gr.3, Cronulla Cinema H., Hawkesbury RC Woodlands Crown, AJC Sporting Chance Ken Callander H., 2d STC Mounties Group H., 3d AJC Equal H., STC Clubs NSW H.
ZUPAONE (03c, Manntari, Straight Strike). 6 wins-2 at 2-to 1200m, A$161,475, SAJC Spring S., Gr.3, MRC Sports H., VRC Aspen H., MRC Special Dane H., 2d MRC Bel Esprit 2YO H., 3d SAJC Dermody S., L, 4th MRC HDF McNeil S., Gr.3. SYREON (03g, Just a Dancer, Beaufort Sea). 6 wins from 1300m to 2000m, A$437,700, ATC Queen's Cup, Gr.3, Mack Trucks Mile H., AJC Belmura Lad H., Filante H., STC TLE Electrical Castle Hill H., 2d AJC Carousel Tickets on Sale Now H., 3d ATC Queen Elizabeth S., Gr.1, Sky High S., L, Liverpool Leader H., STC Cadbury H., 4th ATC Doncaster H., Gr.1, Craven P., Gr.3. FLYING TRISTRAM (06c, Octagonal, Star Way). 5 wins from 1400m to 1800m, R399,400, Clairwood Cup Trial, Gr.3, Roski Stud S., 4th Turffontein Gauteng Guineas, Gr.2. FULL OF SPIRIT (08f, Zabeel, Defensive Play). 4 wins from 1300m to 2000m, NZ$129,275, A$163,750, ATC Adrian Knox S., Gr.3, ARC JRA Trophy H., Manawatu RC Kevin O'Connor & Associates H., 2d Hawkes Bay Makfi Challenge S., Gr.1, ARC Rich Hill Mile, Gr.2, Matamata Cup, L, Scone Cup, L, ARC Gucci 3YO S., 3d ATC Eremein H., Waikato RC Calegastro H., 4th ATC Australian Oaks, Gr.1. DAMSELFLY (05f, Royal Academy, Snippets). 4 wins to 1200m, A$154,113, MRC Thoroughbred Club S., Gr.3, Sony Foundation H., VRC Rothschild H., 2d VRC Moomba P., L.
MISTER LINKS (00g, Ahonoora, Gratitude). 4 wins-3 at 2-to 7f, £132,475, Newmarket July S., Gr.3, Newbury Stan James 2YO S., 2d York Gimcrack S., Gr.2, Doncaster St Leger Yearling Auction 2YO S., 3d Newbury Greenham S., Gr.3, Haydock Freephone Stanleybet S.
OKAHU BAY (11f, Rodrigo de Triano, Varick). 3 wins from 1500m to 2500m, A$132,165, SAJC South Australia Fillies Classic, Gr.3, 3d Murray Bridge Gold Cup, L.
His sire sons include Magnus (19), Casino Prince (16), Kingda Ka (9), Jet Spur (8), San Luis, Shaft, Primus, Krupt, Heritage, Flying Nicko, etc. 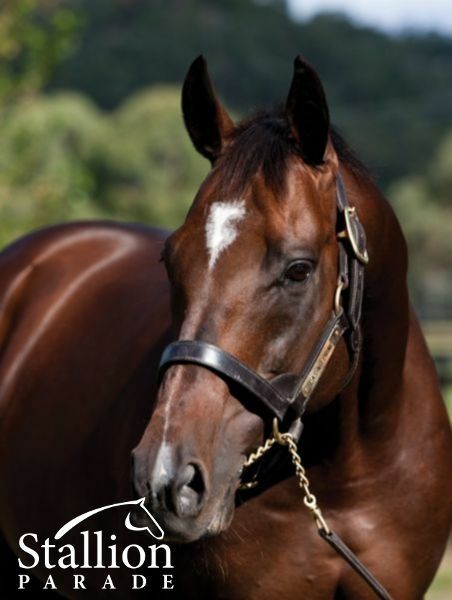 By a Champion Sire, Casino Prince was Australian Champion first-season sire of his year and has already sired of an Australian Champion in All Too Hard. An all round proven producer with over 70% w/r from his first two crops, Casino Prince is fast becoming one of the country’s most prolific stallions. Casino Prince broke through the 100 wins barrier at Easter and is the sire of Hooked (G2 Moonee Valley) and Phrases (LR Randwick) this season.